Internal Martial Arts focus on the use of the mind/intent/will the "Yi" to conquer the body, along with the idea of re-patterning the body to work in a spiraling, integrated and refined motion as opposed to the common way of moving in disconnected or broken levers. This principle in conjunction with a proper grounded posture, relaxed integrated whole body movements and breathing comprise the essence of the internal arts. Internal Arts demonstrate health benefits, martial skill and spiritual, or meditative qualities. Study the ancient secrets and arts of the old masters - Chi Kung, Tai Chi, Hsing I and Ba Gua, together represent a collective of the traditional internal martial arts also known as Nei Jia or “Internal Family”. Whether you want to learn the circular, elusive movements of Ba Gua, the linear explosive movements of Hsing I, the controlled movements of Tai Chi, or experience the benefits of Chi Kung Exercise, we can guide you into how each of these arts are used for Martial, Health and Mental or Spiritual growth in everyday life in an EBT or "Evidence Based Training" environment. Chi Kung translates to energy work. Chi Kung Exercise will assist in developing your bodily systems while combining a focused mental thought and good posture. Chi Kung Exercises come in many, varying forms and methods which individually, or in groups, focus on a variety of situations and conditions. Examples would be internal massage, stretching, spinal manipulation, conditioning training, Ba Gua circle walking, breath work, microcosmic orbit etc. Chi Kung, like the other Internal Arts can provide overall general health, health maintenance, martial prowess, and healing benefits. Yang Family T'ai Chi Ch'uan. Our program begins study with a modified Yang 1956 short form and later moves into Yang Cheng Fu's long sequence. The Orthodox Tai Chi Sword both in form and function, is also available to more advanced practioners as well the long form sequence before Cheng Fu removed the more demanding and explosive elements. Marshall Yueh Fei is credited with the creation of Hsing I Chuan, or Shape Mind Boxing, and the Ba Duan Gin or 8 Pieces of Brocade. He may have however only adapted the ideas of an existing (Xin Yi) art to fit his soliders wearing light or soft armors and using long pole weapons such as spear or halbred. Hsing I Chuan is an internal martial art also sharing the same health benefits as Chi Kung, Tai Chi and Ba Gua. Hsing I is characteristic of explosive, seemingly linear movements. Ba Gua and Hsing I are often taught together to compliment ones training in circular & linear movements, or as a companion to Tai Chi.  Hsing I training can also be used to help better understand the power generation of the more advanced arts of Tai Chi and Bagua. Ba Gua Chang Translates to 8 Trigram Palm or Boxing. Ba Gua is an advanced internal martial art which shares the same health benefits of Chi Kung Exercise. Ba Gua is in form, the youngest of the internal arts and is said to be created by Dong Hai Chuan, however Dong is more realisticly the last to have held the entire system. He himself is said to have stated that he learned it from "The one who walks above (North of) the river" Ba Gua is characterized by its elusive, flowing and continuous circular movements. It is also a sister art to Tai Chi Chuan and Hsing I Chuan.